Today’s life is full of automation. Everybody wants to simplify their work by automation by devices and gadgets. As we all know that robots are the devices which are famous as the automation devices. While there are other devices like flying cars and jetpacks which are often used as automation devices but robots are generally used for done a work automatically. We still don’t have these automation devices around us and as they are quite expensive, but maybe we soon could. A few months before, a video was leaked of a mysterious robot. The mysterious robot is teased for about months now, originally rumored to be some gadget produced by either Google or Apple, in fact a project by a company named as RoboDynamics. 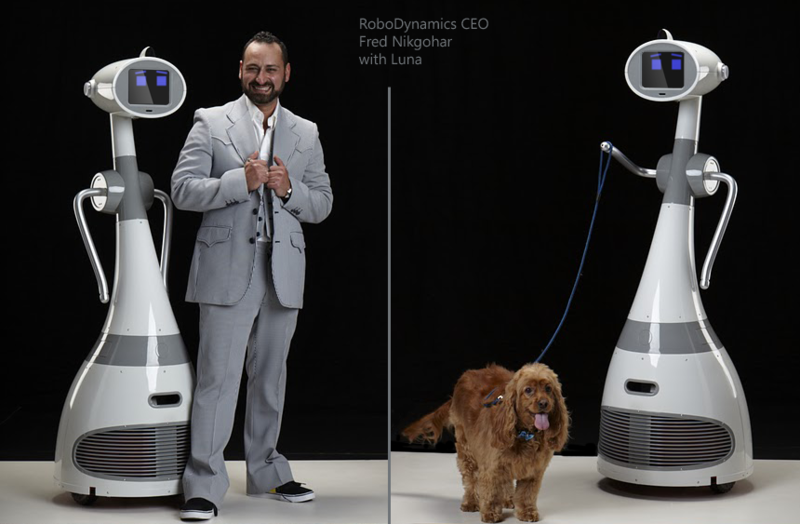 Few days ago, California’s RoboDynamics introduces it personal robot to the world, named as Luna. While there is a less information provided like its software, hardware etc. by the company. They described Luna as a Breakthrough in robot design. 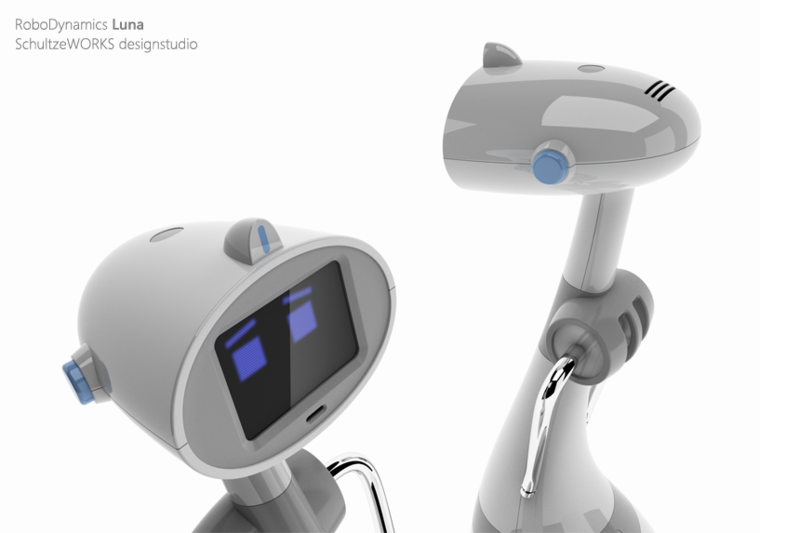 Luna is a personal robot designed for the people for their personal use. It is fully programmable robot and start shipping later this year. 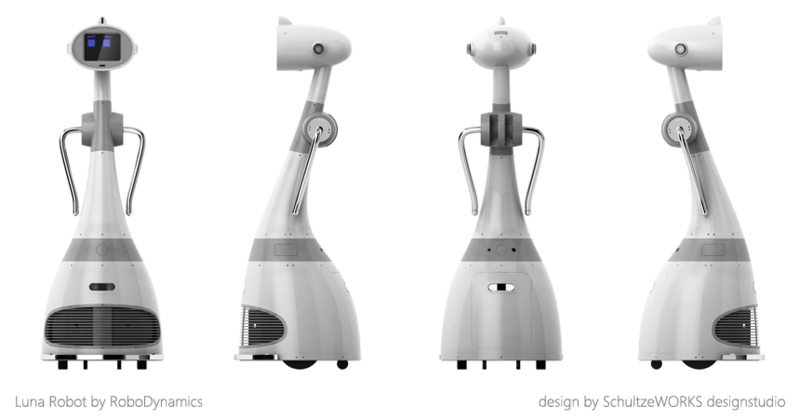 Luna was designed for Robodynamics by Schultze Works. It is an industrial design studio which is situated out of California. Luna incorporates the hardware, firmware and driven train which is already used in Robodynamics’ Telepresence internet-connected Low cost Robot (TiLR). According to the company, The RoboDynamics, Luna is the world’s first personal robot to be expandable via expansion ports. It is fully programmable with open standards. It is an available at an affordable price in the market. It apparently have a carrying handle in its back side and an in articulated pipe-like arms that can swing up to carry a tray. Luna contains a dual core atom 2 GHz processor and a Linux based operating system. It has up to 32GB of storage capacity. It has a positive interaction via an 8-inch capacitive touchscreen with three-microphone array with attached speakers. It can be controlled by wireless and cellular communication. It is equipped with an 8 Megapixel camera and a 3D sensor. It runs on 12 volt battery for 4-8 hours per charge. Computer Processor: Dual Core Atom 2 GHz. Storage capacity: 8 GB flash, expandable to 32 GB. Wireless: Wi-Fi (802.11g), optional Bluetooth via Luna Expansion Port (LXP). Cellular comm. : Optional 3G or 4G via Luna Expansion Port (LXP). Operating system: Luna OS (includes Poky Linux, ROS, and other packages) I/O. Display: 8″ touchscreen capacitive LCD. Camera: 8-megapixel primary camera with digital zoom. Microphone: 3 microphone array with DSP front-end with sound localization. Speakers: Yes (no specs available yet). Sensors: 10-bit wheel encoders, Prime Sense 3D Sensor. Expansion ports: Luna Expansion Ports (LXP) x 7 [Each LXP comprises standard USB Female Type A and 12 volt and 5 volt regulated power with mounting holes]. Power Battery: 12 volt, 26 amp-hour – SLA. Battery life: Between 4-8 hours. Charge time: 4-8 hours for full charge. Dimensions: Size: Height: 5’2″ (157 cm) – Base: 22″ (56 cm). We’ll let you know if more information’s comes our way. In the meantime, you can see Luna in action, in the rather rustic video below.